On Saturday 5 December, patients from across the world joined together to celebrate Patient Solidarity Day and declare that healthcare is a human right. The World Health Organization states that every person has ‘the right to the highest attainable standard of health’. This is supported by the International Human Rights Framework, a body of international law that outlines and upholds the basic rights of every person. Patients taking part in Patient Solidarity Day will stand up for their rights and call for healthcare providers to respond. 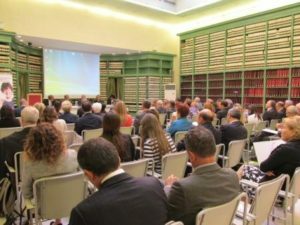 The Malta Health Network, has decided to join the campaign for the first time this year to raise the awareness that access to health care is not a commodity for everyone all over the World. Often on a national level we speak of lacks and rights however one must also remember the brothers and sisters in various countries all over the world, even in developed countries who have limited or no access to adequate health care. These may be due to various reasons including financial barriers and racial or discriminatory issues. Civic society and patient organizations together with the Members of the EU Parliament to strengthen the protection of patients’rights in the European framework. This is the aim of the new Interest Group on “European Patients’ Rights and Cross-border Healthcare”, presented in the European Parliament by Antonio Gaudioso, Secretary General of the Italian NGO Active Citizenship Network-Cittadinanzattiva and MEP David Borrelli, Co-Chair EFDD Group & Co- Founder of the Interest Group. The idea to encourage a MEPs Interest Group goes in the exact direction of the latest decisions of the European Commission, who has recently introduced the right of cross-border healthcare. The Interest Group aims at drawing and maintaining the highest level of attention on patients’rights, also because their reinforcement all over Europe may contribute to strengthen a sense of belonging to a European citizenship. At the same time the concrete implementation of the EU Directive 2011/24/EU on cross-border healthcare, could testify the real commitment of our Governments at national level in the framework of patients’ rights: for this reason the implementation of this Directive is so relevant for all EU citizens and patients. To strengthen the protection of patients’ rights in the European legislation, starting from the adoption of those included in the European Charter of Patients’ Rights. To promote initiatives to encourage and ensure the appropriate implementation of the European legislation on patients’ safety, starting from the Directive 2011/24/EU on patients’ rights in cross-border healthcare. To actively support the celebrations of the European Patients’ Rights Day and collaborate with civic and patient associations at national and European level. To make the European Parliament acknowledge the European Patients’ Rights Day in order to officially recognize and institutionalize it. To establish a European Year of Patients’ Rights. The idea of encouraging a MEPs Interest Group focused on patients’ rights is connected to a widespread request of 100 civic and patient organizations sent last May to the EU Parliament to officially recognize the importance of citizens’initiatives in health policy-making, as for the European Charter of Patients’Rights and the European Patients’Rights Day. More than 200 Million of persons in the developed world suffer from chronic pain on a daily basis. This includes back pain, headaches, arthritic pain, pain due to cancer and other syndromes. These are just few examples of chronic pain that affects more than 20% of active population, with inevitable consequences for life quality and work and with huge social and healthcare costs. Pain also has a psychosocial impact with proven statistics that 20% of persons with chronic pain suffer from depression which may lead to suicide. These conditions lead to lost hours from workplace and millions spent in medicines and healthcare services. 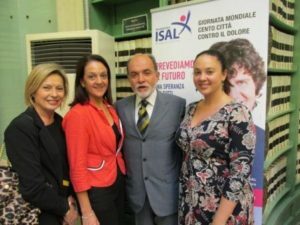 The Malta Health Network has joined the initiative “100 cities against pain” led by ISAL Foundation for the second year. The campaign is now spread over most of the Italian territory and spans from Canada to Australia, many countries within the EU and all the way to Columbia and Dubai. The aims of the campaign are mainly to raise the awareness of the general public that Pain is real and those who suffer in silent are encouraged to come forward and seek adequate help and treatment. Secondly there is a felt need of more awareness and training amongst medical and health care professionals to recognise and treat pain adequately. Many patients complain that medics look at their condition and underestimate the burden of pain. Last but not least is to increase the awareness for more need of research and thus the campaign is a voice to the EU commission to devote more funds for research in pain as a disease on its’ own and to encourage funds to be collected for pain research. Selfie for pain – another way of supporting the campaign is by posting a selfie whilst showing the words ˝I’m against Pain˝ (“Jien kontra l-Uġigħ”) this can than be posted on the facebook pages https://www.facebook.com/isalpain or https://www.facebook.com/MaltaHealthNetwork.